UPDATE: One person has died in the hospital and another two others have been arrested after a shooting in an East Baton Rouge neighborhood Monday. Authorities believe the shooting stemmed from an attempted robbery. EBRSO says witnesses told them 31-year-old Michael Duchamp and two others had planned to rob his neighbor Monday afternoon. When the three confronted the intended victim, Duchamp struck the homeowner. The homeowner then shot Duchamp, prompting the other two to flee. The Central police chief was in the neighborhood at the time and saw a man wearing a mask armed with a gun run from the residence. As the man fled, he pointed his weapon at the officer. Duchamp died from his injuries in an area hospital Tuesday. The homeowner remains in the hospital and is expected to survive. 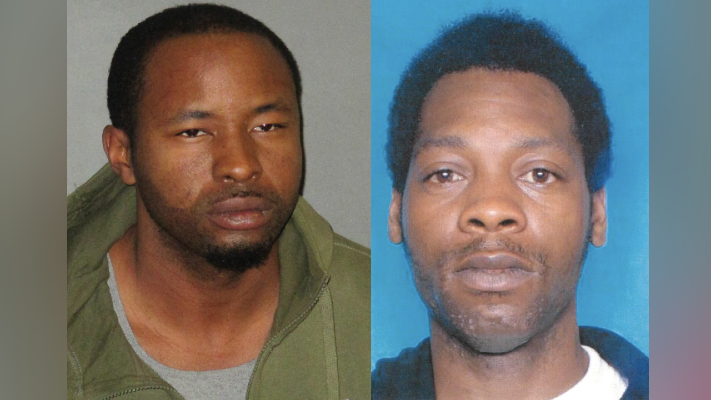 The two other suspects have been identified as 30-year-old Anthony Myles and 31-year-old Arthur Rogers. Myles was arrested Tuesday and charged with armed robbery, aggravated second-degree battery, aggravated assault on police, public masking and principal to first-degree murder. Rogers turned himself in Tuesday night and he was booked on similar charges. CENTRAL – A homeowner was found beaten and a suspected robber shot outside a home in a usually quiet neighborhood off Blackwater Road Monday afternoon. Residents reported hearing gunfire around 3 o'clock in the Monhegan subdivision. The police chief of the Central Police Department, who lives in the neighborhood, found the two people outside a home at the corner of Rathmoor Avenue and Glengarry Drive, a cul-de-sac. The homeowner had been beaten with a pipe, authorities said. It was not immediately clear how the robbery suspect ended up shot. Both people were rushed to the hospital. Authorities said one of the two sustained critical injuries. The East Baton Rouge Parish Sheriff's Office is handling the investigation. As medical crews brought the injured to be treated, sheriff's deputies spent the next two hours searching for as many as two additional people who may have been involved. For much of Monday afternoon, Blackwater Road between Hooper and Comite Drive was filled with sheriff's deputies. Deputies held guns in position as they searched outbuildings, homes and wooded areas. As the sun set Monday evening, authorities said they were confident the two people tied to the altercation were gone from the area.